Dr. Mary Lewis had never set foot in the state of Texas until the spring of 1980 when the University of Houston's Graduate College of Social Work sought a female professor to employ in a senior position. Mary decided to answer the call. "I had never thought of coming to live in Texas. I was happy where I was," she said. "But I thought, why not go and look into it?" Now, she loves living in Houston. Mary grew up in Alabama and Georgia. She joined the UH faculty after 13 years of teaching at three other universities. She said she enjoyed teaching at a state university that is committed to serving a variety of students, no matter their nationality or socioeconomic level. "I have a commitment to the concept that educational opportunity should be there for everyone," Mary said. Her parents, who were public servants, instilled that value in her early in life. Her mother taught Latin and English in public schools. Her father worked for the U.S. Department of Agriculture and was committed to making his services available to all farmers, black and white. In matters of equal opportunity for different races, "I think my parents may have been ahead of their own generation," Mary said. Mary taught at UH for 24 years before officially retiring, and then taught a few courses a year for four more years. She wanted to make a planned gift to the University of Houston because, "I have earned most of my assets from teaching at the University of Houston, and I feel like this is where I have, hopefully, made a contribution," she said. "I would like to leave a legacy in a way that will hopefully promote some of my commitments in teaching." 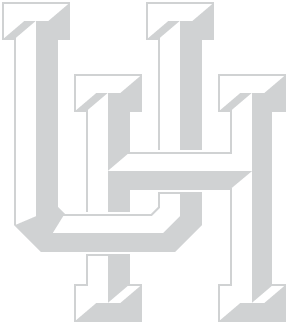 At the time Mary arrived, there were only a few universities in Texas, including UH, that offered graduate degrees in social work. Mary has had the opportunity to teach students from all over the world and develop curriculum from an international perspective. Mary received her bachelor's degree in history from Wesleyan College in Georgia and a master's degree in public administration from the University of Alabama. Then she studied at the London School of Economics and Political Science for a year as a Rotary International Foundation Fellow. She obtained her master's degree in social work from the University of Denver and a doctoral degree in social work and social research from Bryn Mawr College. Mary, 80, never had children of her own, but she has a large extended family and a long fulfilling career. Her bequest endowment to UH will be named the Mary R. Lewis Professorship Endowment in Children and Youth in the Graduate College of Social Work. It is her hope that the planned gift will impact curriculum and research focused on all children and youth, not just those with problems. "To me, children and youth are one of the, if not the most, oppressed and neglected and unempowered populations in the country," Mary said. "There's a tendency to think that if you try to deal just with their parents or other adults in their lives, that will impact the children. It's insufficient, in my view, not to recognize the potential in the children themselves." She believes more policies and resources should be invested where most of the children are during normal lives, such as schools, child care and health facilities. Mary said she gave much thought to her planned gift to UH before actually committing. "You just get older and you realize you've got to do something," she said, laughing. "Or you should do something. If you don't do something, your assets will not be handled according to what your wishes were — because people won't know what they are." Her wish for her legacy is simple. "I would really like to be remembered as a good teacher — as a faculty member who impacted people in the social work profession. That I somehow impacted the profession in a way that will benefit children and youth as well as other groups," Mary said. "That was what I was trying to do."